Nexus 6P is Google's front model to beat back Apple's iPhone 6 market share. 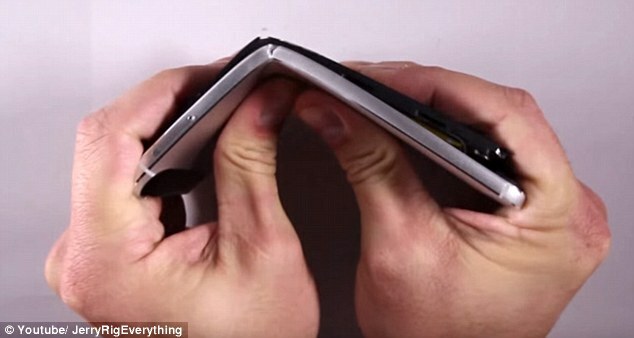 But like Apple, the latest Google smartphone also falls in the category of 'bendgate' scandal. Although the bending of Nexus 6P was shown in a video that went viral on the net last week, a new video released just now shows the detailed reasons why the Nexus 6P bends. The video has been created by phone enthusiast Zachary Nelson in Utah, who explains there are three design flaws that cause Nexus 6P to bend. The video was posted by YouTube channel JerryRigEverything by Zachary Nelson. In his video, Nelson shows just how easily the phone bends. 'I am being serious when I say my little sister could have bent this phone in half', he says.